About 430,000 women have benefited from the women enterprise fund since 2015. The Speaker of Parliament Rebecca Kadaga has directed government to stop using funds meant for the Women Enterprise Fund to train local government officials about the project. Kadaga made the directive at a workshop that was updating members of parliament on the implementation of the Uganda Women Entrepreneurship programme at parliament. She said that the local government officials have got much training and should not waste the women fund. She was also angry that 10 million shillings was cut from the women enterprise fund in the budget cuts and alerted MPs to ensure that this money is returned. She said that money of the Women Enterprise Fund should be increased to a meaningful amount to cover more women. She said that there should be an agency facilitating the marketing of the products and items produced by women groups benefiting from this fund so as they service the loan without difficulty. Members of parliament who include the for Gulu District Woman MP, Betty Aol ,MP for Bubulo West, Rose Mutonyi and Mitoma district woman MP, Jovah Kamateka, complained of disparities in giving out this Women Enterprise Fund who said that some districts were not benefiting equally as some were receiving much funds compared to others . He asked MPs to ensure that the women projects are given priority during tender procurement so as are not left out basing on the law to access the required funds needed to start an enterprise for income generation while handling the amendment of the PPDA ACT. He stated that the districts which will have big numbers of women returning the funds will have a chance of receiving more funds for other women groups. The minister of State for Gender, Peace Mutuzo, noted that there are number of women groups whose projects had funds approved but have never received this fund asking them to be patient saying they will get their money any time. 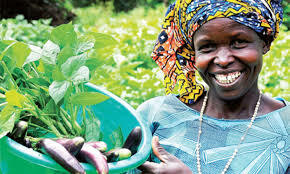 The Uganda Women Entrepreneurship Programme (UWEP) is an initiative by the Government of the Republic Uganda to improve women’s access to financial services, equip them with the skills for enterprise growth, value addition and marketing of their products and services. In 2015 1.9 million shillings released, 2016,29 billion ,201730 billion and 57 billion is for the financial 2018/19 for this project.